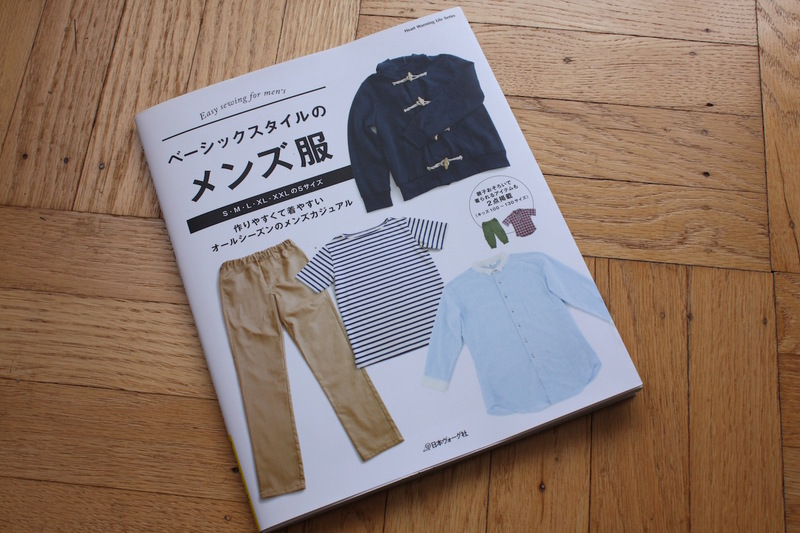 Japanese Men’s Pattern Book GIVEAWAY! I’m very proud to offer you my first blog giveaway ever at Line of Selvage! I’ve sort of known about Japanese pattern books for a while. Peter has mentioned them a few times at Male Pattern Boldness, and of course MainelyDad has created an entire blog inspired by them in the men’s sewing blogosphere. But the books I knew about didn’t catch my interest, and some (like the Pattern Magic series) looked too fiddly and “out there” for me. Two things inspired me to look further. Local blogger Chuleenan Svetvilas is the coordinator for the Bay Area Sewists meetup, and I follow her blog C Sews. She’s been doing some Japanese pattern book projects lately, and that woke me up to the idea that there is quite a lot of diversity in the kinds of projects you find in these books. 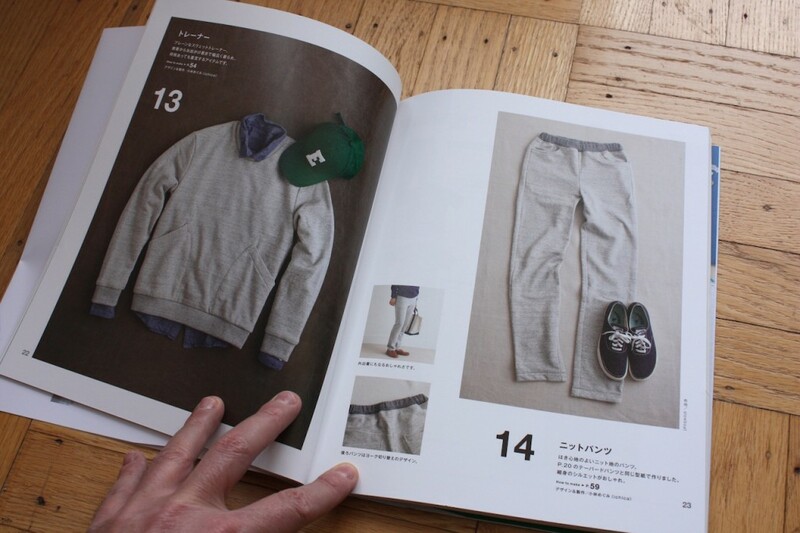 Secondly, reader Corey let me know there is a Japanese pattern book out there with men’s trouser patterns, including a pattern for selvedge denim jeans (a future project — I have a Pinterest board for planning here). That was enough for me. I went to Kinokuniya Books in San Francisco on a sunny Saturday morning during the Cherry Blossom Festival, and scoured the shelves. They had dozens of pattern books with great looking projects — for women. There were exactly three men’s pattern books on the shelf. Two were by the same author, Shimazaki Ryuichiro: Men’s Coat (scroll down the page after clicking the link) and Men’s Apron. 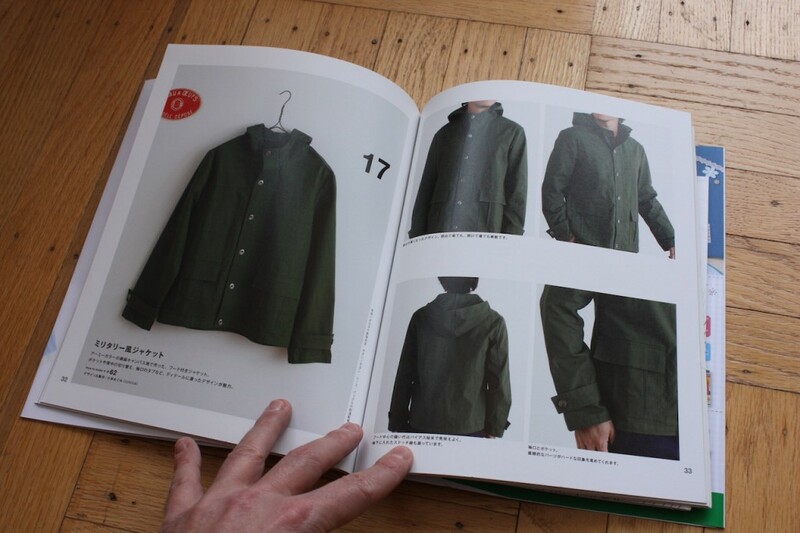 The Men’s Coat book I knew of, having been the inspiration for the Japanese Pattern Challenge blog. The Men’s Apron book was an interesting curiosity, but I have no interest in sewing aprons. I did, however, find this very interesting book of casual clothing patterns for men. I’ve seen the book listed online as Men’s Wear, but the only English on the front cover says Easy sewing for men’s. It’s part of the “Heart Warming Life Series” (I just love Japanese culture). It has a selection of casual tops, pants, and jackets. There’s also a few bonus projects (labelled “Special Recipe”) for children’s wear, and some accessories. The patterns come bound in the back of the book, but separate easily from the book binding. 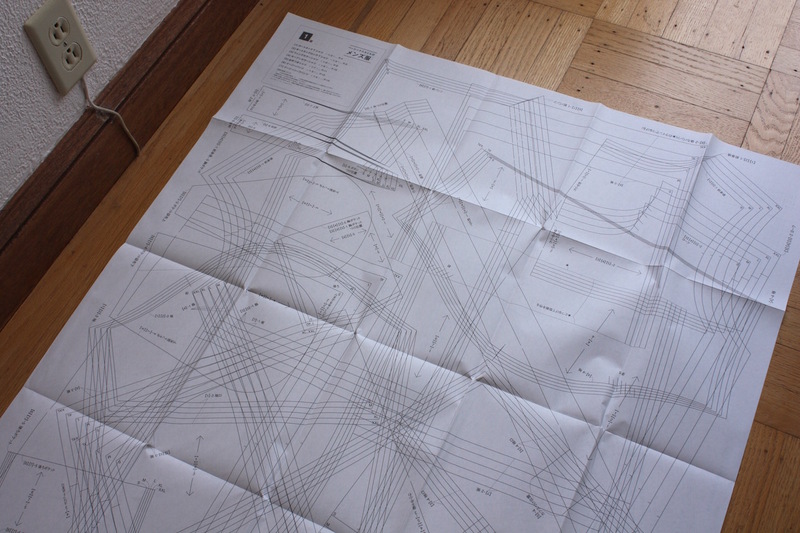 You trace out the pattern you need from the multi-size patterns provided. From what I understand, you need to add seam allowances, 1 cm in the case of most Japanese patterns. Each project comes with sewing instructions. If you can’t read Katakana (I certainly can’t) it might help to have some prior sewing experience. 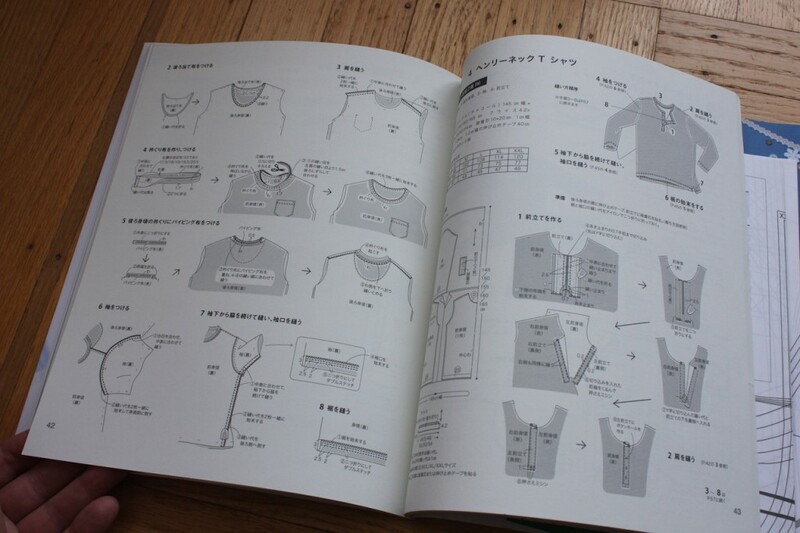 The site JapaneseSewingBooks.com includes helpful guides for understanding Japanese sewing pattern books, including a list of translations of sewing terms from Japanese to English. Here’s some projects I found interesting. This little backpack (one of the “Special Recipes”) looks really interesting. There’s a full review of this title, with lots more photos, over at japanesesewingbooks.com. Update: Entries to the Giveaway are now closed. Thank you everyone who participated! The store had two copies, so I bought the second for my very first blog giveaway! To enter the giveaway, just leave a comment on this article. I’ll make a random drawing from everyone who leaves a comment through the end of day Friday, May 8, 2015. The winner will need to provide a shipping address via private email; I’ll pay for shipping worldwide. Tell me what topics you’d like to see me cover on this blog. Tell me what you’d like to see me do for my next sewing project. Give a link to your blog, Instagram, or Pinterest for all of us to check out. 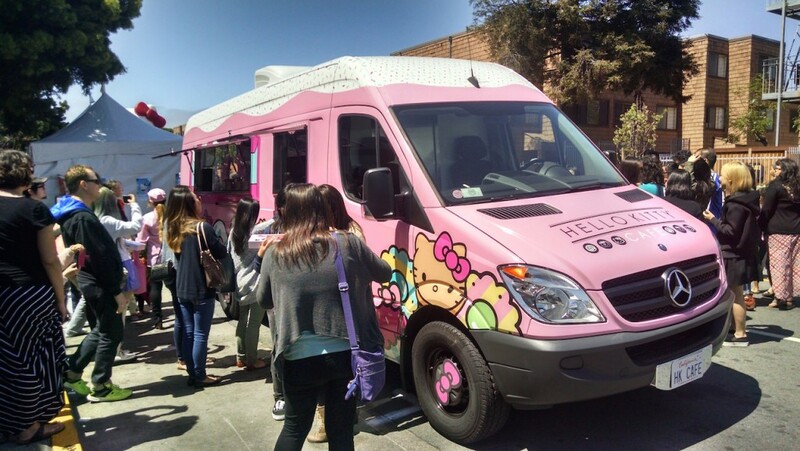 The “Hello Kitty” Cafe truck at the Cherry Blossom Festival, Japantown San Francisco. This entry was posted in Books, Patterns on April 29, 2015 by mportuesisf. The videos are great – Thanks for sharing! You’re inspiring me to follow through with my travel set to accompany the duffels. I’d love to add this book to my very small sewing library. I love the Japanese styling of garments. I love Japanese fabrics. Mary, I know what you mean – the men’s garments in this collection all have a certain subtle curve and sense of proportion that I can best describe as “Japanese”. Just keep sewing and posting, please! Your duffle bags satisfied the practical side of me. I think the Japanese sensibility is rooted in timeless pleasure, ease without excess, and a lack of adornment – isn’t that where we’re heading? I have never commented on your blog, but have been reading for quite some time. Since I don’t have Kinokuniya near me, I would love to enter for the drawing! I would love to see you cover streetwear and this book is definitely a great step in that direction! Simplistic clothing, no. Clean lined, well-designed garments for men, yes. The hoodie is familiar (Pinterest, Bloglovin’?). A pullover for anyone who likes the casual vibe, but not the traditional over-size, drowning-in-cotton fleece look. 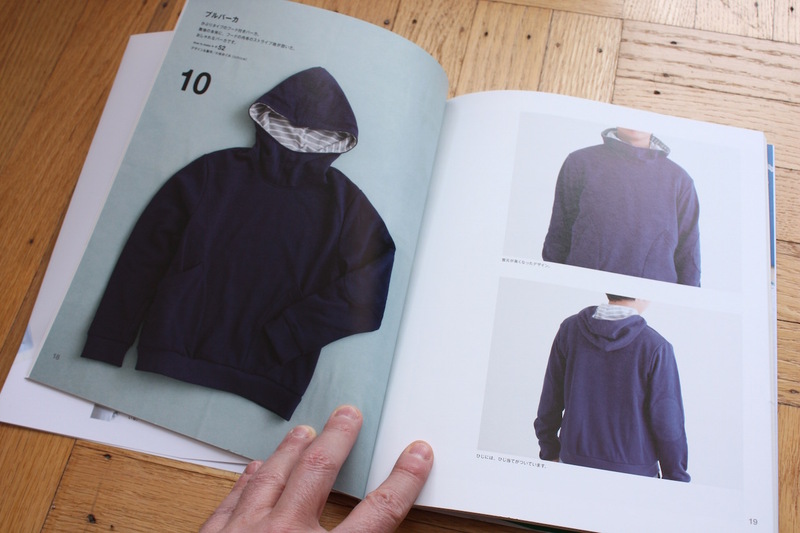 Any project from this book, especially the hoodie. Better when constructed by an engineer, whose curiosity about sewing allows his followers to share his journey while they remember their own. Isn’t the hoodie great? I found some really unique sweatshirt knit with a waffle texture on the outside, which I plan to use for a high-end hoodie project. It looks much more expensive than regular sweatshirt fleece. 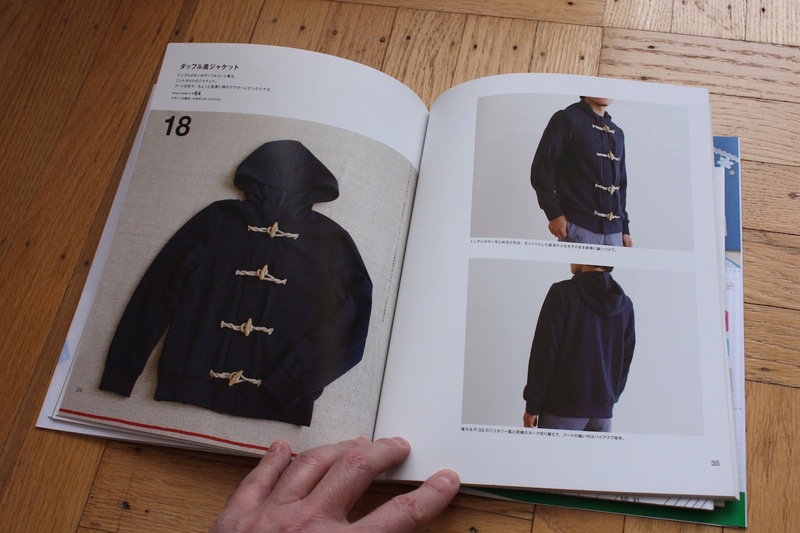 It will definitely get used with the patterns in this book – either the hoodie or the toggle coat. 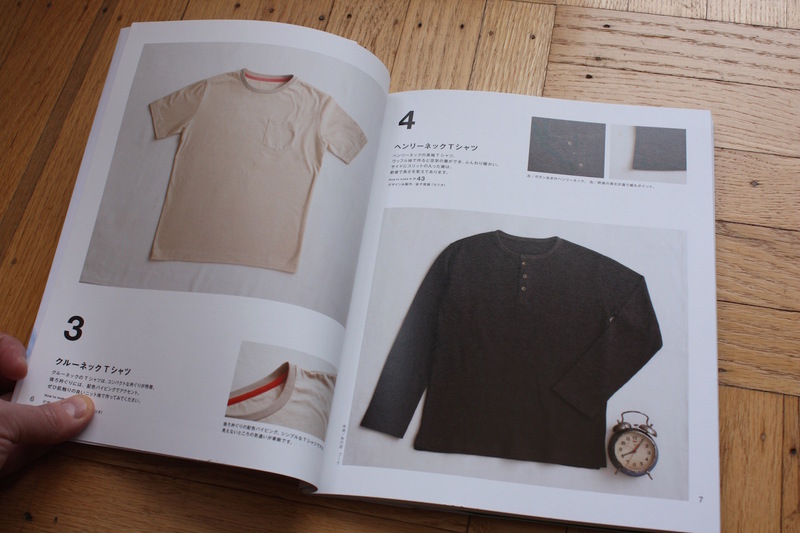 I have the Shimazaki shirt pattern book (in French, no less) and have made one shirt so far. The drawings are excellent and my baby-talk French was sufficient to get through the project, although I’ve made about ten shirts already of other designs. A word to American sewists: these patterns run small. I take a 15.5 shirt in Kwik sew and need an XL in the Japanese pattern. And no two seam allowances are the same. The pieces are hemmed before sewing them together (which actually makes sense). Collars are still an enigma no matter what idiom I’m working in. Bravo on the great blog (encore). 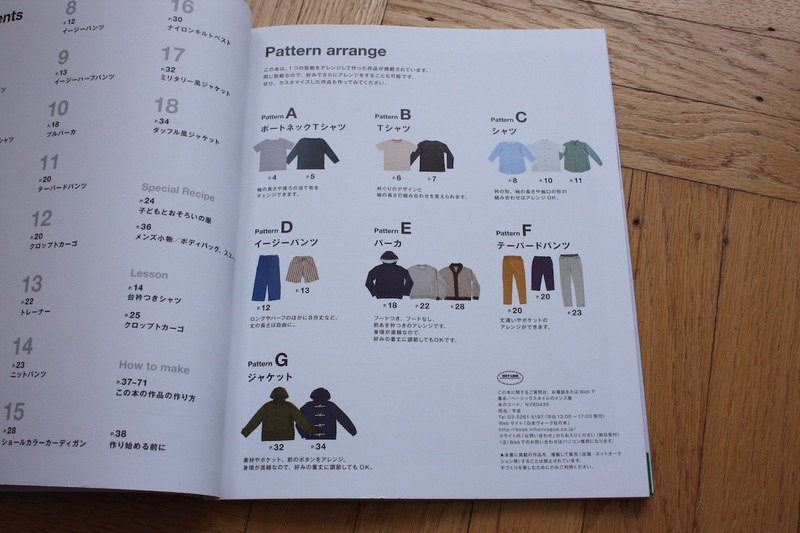 I have seen the Shimazaki shirt pattern book (I think on MPB), and will try to track it down at some point. It looks truly nice! I recall I ordered my copy from Amazon after reading about it on MPB. I just checked and the original Japanese version is available but no mention of the French edition. Bonne chance, mon ami! Thanks so much for your blog. I always enjoy your postings and get so much inspiration from what you are doing. Would love to see you tackle some swim wear as well as knit pullover polo-style shirts. Thanks again. Not so sure about swimwear, but I do have several yards of pique polo knit sitting in my stash, as well as a vintage 70s Stretch and Sew polo shirt pattern. I have a Pinterest board where I’m collecting inspiration for the project, if you want to look. Katakana is one of two syllable alphabets (the other is Hiragana) used in Japanese. It is used primarily for words of foreign origin. You need need to be able to read katakana, hiragana, as well as the Japanese characters (kanji) to read the book’s instructions. I stand corrected! I don’t see many kanji characters in this book, but as you can tell I’m not at all knowledgable about Japanese. I agree with the above comments, that your engineering sense is helpful and clear. I appreciate useful clothing: simple, nicely done, with just a touch of a difference for individuality; for example, the recent hoodie in basic dark with a subdued red band. The Henley shown in the book would be of interest-how to get a neat placket in a knit! Oh this book looks fabulous! I’d love to make clothes for my husband. He is so bad with his lounge pants – they are constantly getting ripped across the knees, so I’m thinking something handmade might hold up better. New to your blog. I am running a sewing blog also!! Hope to see more of your work! Great work! Welcome Enrique! Looking forward to seeing the finished striped shirt at your blog. 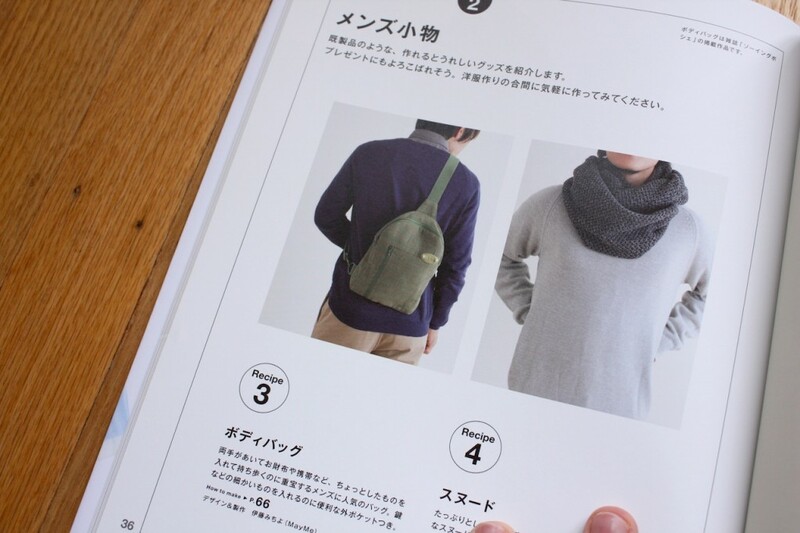 I love the vibe of the Japanese pattern book: my personal wardrobe could use an infusion of casual wear with some style! I teach sewing and do costume work and sew for clients, so sewing for myself nearly always takes a back seat, and my personal projects tend to languish (like the shirt that has been cut out and partially sewn for months. Months!). Anything you can do to inspire us on your site will be a welcome addition to the menswear world. I’ve been thinking about selvedge jeans, too… Oh, and I don’t have a blog or website: who has the time?!? The title of your book translates as “Basic style men’s clothing”.